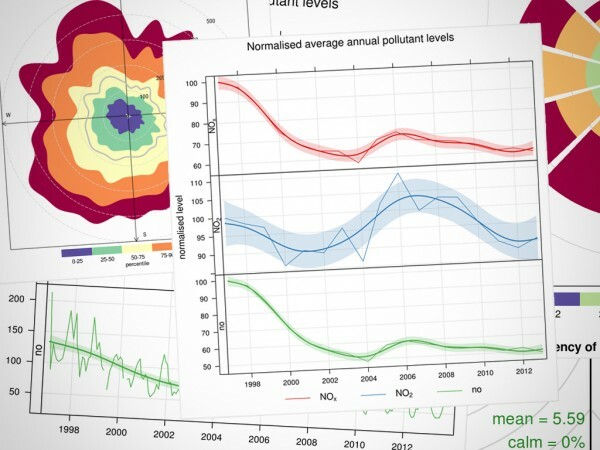 Jurnyz by Simon Starr, Jordan Elver and Liam Richardson takes a different look at air quality by helping people understand how their own behaviour affects pollution. 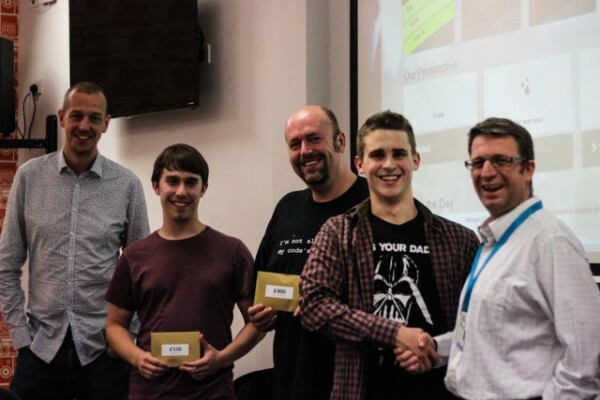 Our Air Quality hack winners scooped £550 for “Fourcast”. 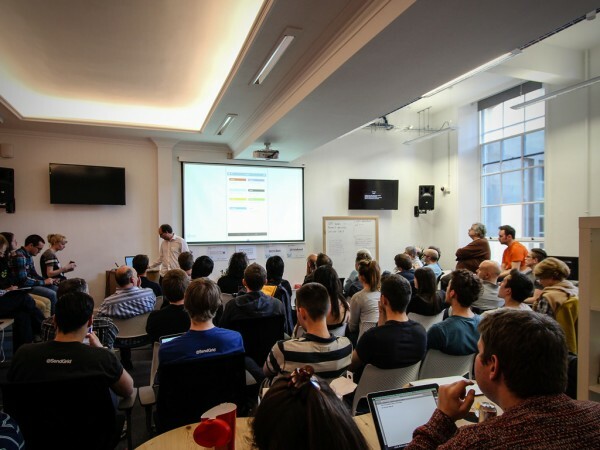 Here’s what Adam Reynolds, Ashton Clapp and Steven Borrie (aka Team Slackers) made. 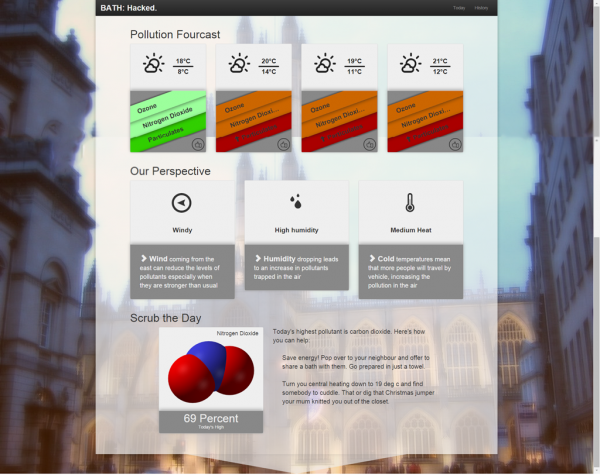 Leigh Dodds won Most Educational prize (£150) by using R to show the effects of wind, time of day and seasonality on pollution in Bath. 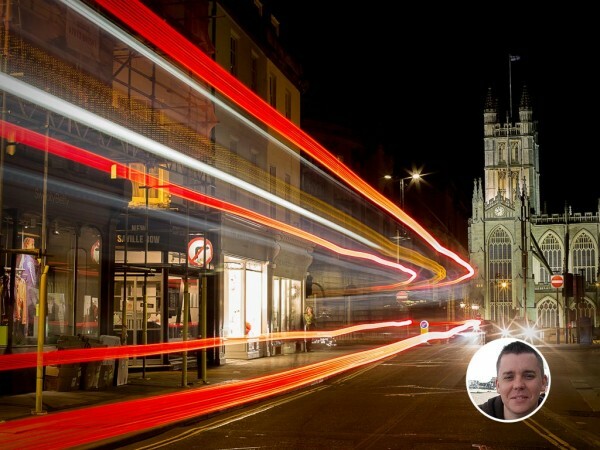 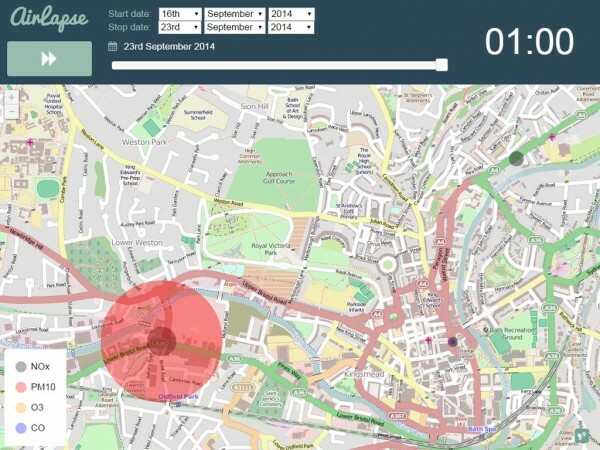 AirLapse is a timelapse visualisation of air quality in Bath and won two hack prizes: Best Visualisation (£150) and Best Shipped (£150). 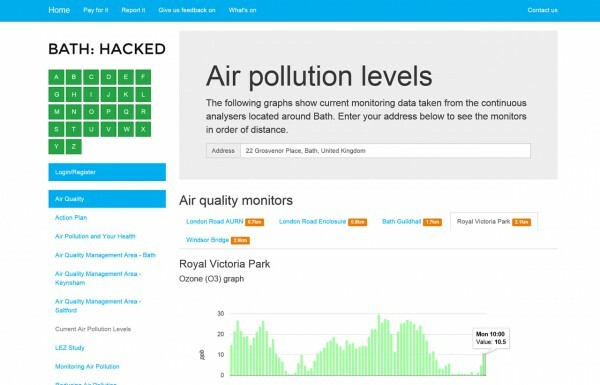 Dave Rowe made an improved version of the current council air quality website, using live data and dynamic charting. 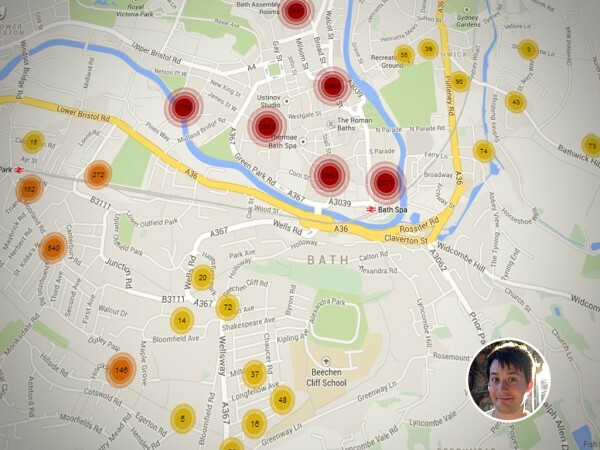 BANES have made their air quality data public and are funding a hack to find innovative ways to use it.